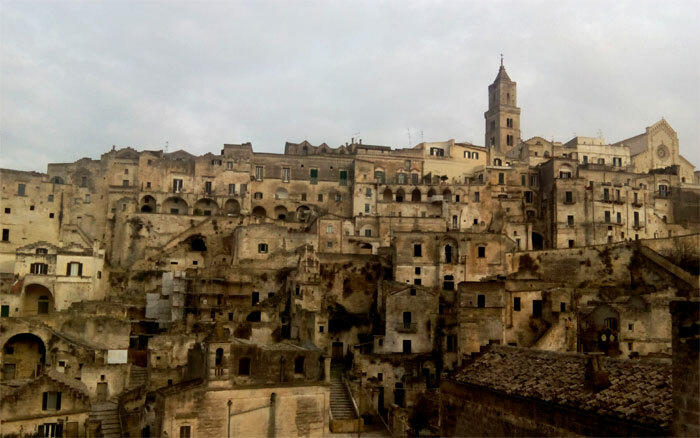 These have been my first two weeks as NE in Matera, in the south of Italy. The arrival in the city was a very interesting fact, because throw another architect of the architectural studio I belong to I got a room in a very new, typical and friendly hostel in the heart of the old town. The Sassi are incredible old buildings in stone that are in fact the background of lots of films for their similarity with the Jerusalem of Christ. The welcome to the studio was really warm. Everybody is very friendly, try to make you feel good, speak in Spanish if they know any word or even in English in case you don’t understand Italian. They’re also very interested in Spain, and many of them have been there for their holidays. The first week started with a workshop about sustainable architecture and the importance of using the substances that the land gives us to reach a good relationship between architecture and its environ-ment. 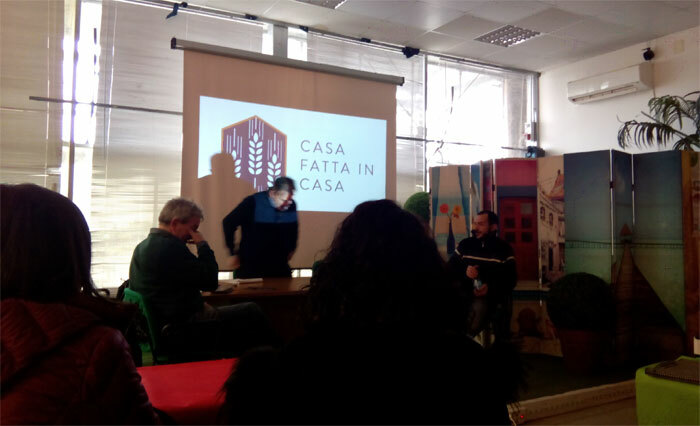 The talks were given by my HE, a farmer, an artist and another architect, all from Matera. 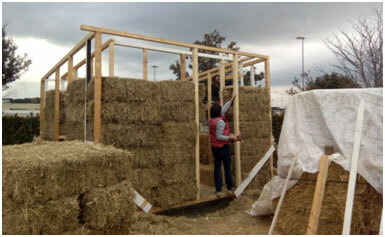 After that first day of meetings and talking, we started the construction of a house made using straw-bales from these lands. From the basement made with tuffi (stone) to the roof in polycarbonate, creating a main structure in wood stuffed in straw, we’ve been working for two weeks. We need a few days more to finish this work because we’ve not been people enough, so it’s been hard and slowly. The experience of the Straw-Bale House has been interesting, and has allowed me to learn this construction technique and also meet lots of new people from different parts of Italy.